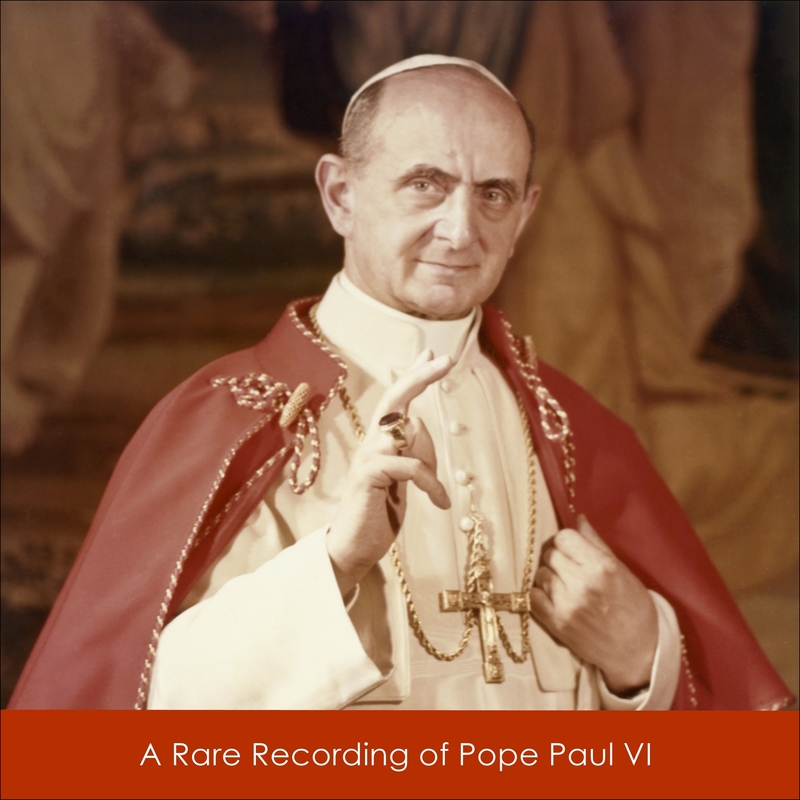 Pope Paul VI (born Giovanni Battista Enrico Antonio Maria Montini) lived from Sept. 26, 1897 to August 6, 1978. He reigned as Pope from June 21, 1963 to his death on August 6, 1978. After succeeding John XXIII, he continued the Second Vatican Council which he closed in 1965. He then helped to oversee the numerous reforms, and improved ecumenical relations with Eastern Orthodoxy and Protestants. This speech is delivered primarily in Latin, with a short message of prayer in English for American astronauts.